Compare prices on car hire in Mallorca Airport from all the major brands and find the best deals. When you book through us, unlimited mileage and insurance are always included in the price given. Palma de Mallorca Airport, also known as Son Sant Joan Airport or Aeropuerto de Son Sant Joan (PMI) is located 8 km east of the capital Palma de Mallorca .There are buses between the airport and Palma de Mallorca. There are 8 different car rental companies at the airport. The National Ates, Record, Sixt, Auriga Crown, Avis, Hertz Goldcar Europe and Europcar. 21,203,028 passengers visited Mallorca Airport in 2009, it is the 3rd largest airport in Spain after Madrid and Barcelona .It is headquarters for Air Berlin, Iberworld and Air Europe. 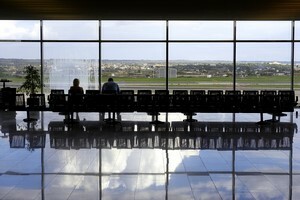 Mallorca Airport serves just under 100 destinations. It is a very good selection of food and beverage outlets at the Mallorca Airport, several of which are open day. There are also several shops selling everything from fashion to various local products and duty-free shop. Facilities at the airport include VIP lounge, meeting rooms, a pharmacy, children’s play area, first aid, pharmacy, bank, post office and travel agency.